In this era of numerous demanding changes and reforms, O-Sung Electric Machinery Co., Ltd aims for customer satisfaction while constantly performing R&D, exerting the best efforts for a bright future. O-Sung started as O-Sung Industry in 1986 and succeeded in the localization of air circuit breaker (ACB) and automatic transfer switch (ATS) products when Korea used to completely relied on imports. We at O-Sung have concentrated our efforts on exporting while supplying our excellent products to large domestic enterprise, government offices, and other prominent companies. Since 1995, we have been supplying more stable quality products by establishing an ISO-certified system, and we compete with global companies by acquiring ASTA, CE, and CB certifications. O-Sung mainly produces low-voltage ACB and ATS. We have recently localized the ATS of special specifications, such as ATCB, CTTS, and bypass ATS, and we produce economic and high-efficiency products and supply them to major government offices and large buildings for stable operation. Power peak control using CTTS can efficiently improve the performance of generators and stably supply electricity to customers. O-Sung Electric Machinery Co., Ltd. performs continuous R&D using its accumulated expertise under the motto “Sincerity, Good Faith” and will continue to develop as a company that puts the top priority on customer satisfaction with trusted products. 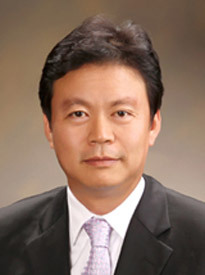 CEO of O-Sung Electric Machinery Co., Ltd.